Down Syndrome Queensland is pleased to announce that the winners of the Inspirational Teaching Awards for 2018 are Katrina Norton and Lyn Knight. We are pleased to announce Caroline Hay will be presenting as a keynote speaker at the Endless Possibilities Conference. 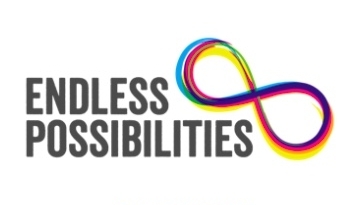 The 2019 Endless Possibilities Practical Inclusion Conference will be held on 5 & 6 March at Victoria Park Golf Club, Herston, Brisbane. Caroline Hay has been working with children for over 21 years. She has been teaching at Faith Lutheran College, Redlands for 11 years and is currently teaching Grade 6. Caroline is passionate about the way each individual child learns and has completed a variety of curriculum projects with Independent Schools Queensland and Griffith University. Caroline has a mentoring role within her school setting and has recently presented at the ‘Inclusive Directions for Education’ Conference in Brisbane. She has a strong commitment to ensuring all students feel included within the school setting, and that they achieve with appropriate support and guidance in all aspects of learning. Register your place at the conference here. We are pleased to announce Joelle Kelly, T21 Mum Australia will be presenting as a keynote speaker at the Endless Possibilities Conference. We are excited to announce that Dr Bob Jackson, Managing Director of Includewill be a keynote speaker at the Endless Possibilities Conference. Dr Jackson will be presenting on both days of the conference, and you won't want to miss his insight on Practical Inclusion. The 2019 Endless Possibilities Practical Inclusion Conference will be held on 5 & 6 March at Victoria Park Golf Club, Herston, Brisbane. Dr Bob Jackson, is an subject expert in inclusion, having worked in the field of human services and education for over three decades. Dr Jackson has had a wide experience as a Direct Care worker, Psychologist, Manager of Disability Services, Researcher, Director of a Research Centre on Disability, Associate Professor of Education and consultant to government, private and public educations systems, agencies and families. He is also a Nationally Registered Psychologist. You won't want to miss Dr Jackson's keynotes. Register for a place at the conference here. Australian Financial Review’s 100 Women of Influence 2018 Award – Diversity and Inclusion will be presenting as a keynote speaker at the Endless Possibilities Conference. The 2019 Endless Possibilities Practical inclusion will be held on 5 & 6 March at Victoria Park Golf Club, Herston, Brisbane. Catia Malaquias is a lawyer, board director and mother of three young children. She is committed to human rights and inclusion of people with disability, especially in relation to media and cultural representation as well as education. She is Director of Down Syndrome Australia and is co-founder of All Means All – The Australian Alliance for Inclusive Education, a not for profit multi-stakeholder organisation working for the implementation of an inclusive education system in Australia. This is a keynote you won’t want to miss. More information about Catia and her achievements can be found here. We’re excited to release the program for our Regional Practical Inclusion Conferences. Take a look at it here. We’re excited to release the program for our Brisbane Practical Inclusion Conference. Take a look at it here.